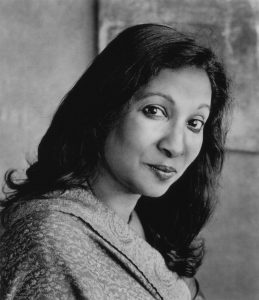 On November 7, 2006, as she was writing her book Quickly Changing River, Meena Alexander was interviewed by May Joseph in New York City. J: Meena, I’d like you to talk about writing childhood. Childhood for me really is the ground of much of what I write. Privileged territory. Privileged not because it is a locus of nostalgia, really, as because I think it’s in childhood that the sensations, the bodily sensations which animate what I write, are most intense and vivid, and the connections between consciousness and things is powerful and unmediated in a way, and the world is live and quick. And I think that those first recollections, as indeed Wordsworth spoke about them, I mean those are very strong for me. So that childhood even as it is ground, is continually returned to and reinvented, and becomes… a powerful source from which I write. If I were a painter I would think in terms of dipping my brush into the colors of childhood. Also, for me childhood is Kerala, the southwest coast of India, and both my mother’s house, which you’ve seen, in Tiruvalla, and also my father’s house, which has now been sold, with the very old paddy fields all around it. (My father’s house) was an ancestral house, which I speak of in a poem called The Storm. And then I turned five on the Indian Ocean. In fact, I’ve just finished writing a small prose poem piece for my book Poetics of Dislocation called Crossing the Indian Ocean. I just finished it today. About having my fifth birthday on the water, just on the ocean, and what that means to me in terms of my poetry. So childhood wasn’t just emplacement, it was also being cast loose on the waters, very young. And not knowing what the other side would be, well, not knowing what the other part of the world would be. And going to a different language and a different place, a different climate, so that everything that I’d known and loved, or known and loved and feared, was left behind. I didn’t even know what the word “behind” meant. And I didn’t know what it meant to go back and forth so that you didn’t just have one place, you had several places –and then perhaps you had no place, or you had many places again. Childhood in fact established for me very early the materials of my writing. And I think that is what I want to say in the end. Years ago I had an office at Hunter next to Philip Roth. He was teaching there for a year. He said something very interesting to me. He said, “Meena, if you are a writer, all you have is what you’re born to, it’s just this stuff, this biography, there’s nothing else.” And I guess it’s taken me many years to realize the deep truth of that. You just have this pot of stuff that you’re given at birth. And you make of it what you will. But nevertheless, it’s already made in some fashion. And that’s a very compelling and disturbing thought, which really, if one lays it out in the sun and looks at it, teaches one great humility. J: I wanted to return to this idea of place and childhood, and ask you how the Indian Ocean plays in this space of writing childhood. You talk about your birthday aboard the ship on the Indian Ocean. I’d like to hear more about that. A: The Indian Ocean … In Kerala, one was always aware that this was land bounded by the Ocean, in fact of course the earliest myth of Kerala is that Parasurama flung an axe into the water and out of it rose the land of Kerala. And the axe, curiously enough, was bloodied because he’d committed matricide; he’d killed his mother, because he thought that she was lusting after another man, not his father. So there’s this whole rather violent myth of origin to the land that I come from. But the water’s always there, the Indian Ocean has always been there. When I was a child we’d go to visit Kanya Kumari and the three seas were pointed out to me – the Bay of Bengal in the east, the Arabian Sea in the west, and south of us and all around, the Indian Ocean. For centuries there’d been peaceful trade back and forth between the coast of Kerala with Rome and Persia and China. Ancient Roman coins were found on the coast. All this of course well before European colonization in the sixteenth century. The Indian Ocean as I learnt to read it, became a site of extraordinary hybrid inventiveness, a manifest if you wish, for the making of poetry. The ocean allows you to conceive of a life which has multiple anchorages, and yet is not bound to one specific place. I think of Gandhi, and how he kept crossing the Indian Ocean and I like to think that many of his most radical thoughts, as they came to him were freed from the specific pressures of place. In fact place is naturalized power, when you go out onto the ocean something else happens, you have to throw away that other chart. And so for me, the idea of the ocean as a space where one might rethink what land has enforced, is a very interesting possibility, and is really just something I’m just now starting to unravel. And in a sense for me it also lays bare the way in which the past is continually returned to and never the same, so that the notion of difference lies at the heart of our awareness or access to the past. There is a kind of simplicity there, and an intensity of apprehension. Not that one need necessarily lose it in later life, but you might, and you have to in a sense, develop shields and armor to go through life, but I believe there is something very simple and pure in how a child can see the world. And then, perhaps, almost in order to survive, one learns to forget, one learns to dissemble, even to oneself, and one learns languages which really do not necessarily accord with the truth as your perceive it. But you use, you deploy those languages, you use them. And I think poetry becomes this powerful cleansing pool into which one might jump and return hopefully alive and renewed,. And memory is like that, right, it’s not a very safe place. J: That’s very well put, it’s not a very safe place, and it seems to me in Fault Lines you explored that very unsafe place of desire and memory and writing. Could you talk a little bit about desire and this return to, as you said in Dictionary of Desire, a very powerful section, you talk about memory and desire and writing. A: Well, I think, in that section called Dictionary of Desire, I think, if I recall correctly, I was talking about some words that I strung together in different languages, very simple words like, girl, book, tree, I think stone, perhaps, and writing them down in English and in French and in Arabic, and in *Malayalam*, as if those elements could then constitute the world for me. And of course this is the dream of poetry, as a child you write single words and a poet writes images. So I think that, in a sense, it was an attempt to build up a world freed from taxonomies, or should I say rather, freed from hierarchies. A world that stretched out… as much of the world as you’ve experienced could come into the poem, so there are multiple languages in the poem and whatever you’re writing is a dictionary. And desire of course is what makes you turn to the world and renew yourself in the world, as opposed to apart from the world, right? In that sense desire is always for the Other, and the Other is always in the world. Insofar as the Other is in oneself then you turn to that part of yourself and try to face it, so there’s also this section called Dark Mirror. J: You are talking about this unsafe place, and I was drawn by the fraught unpacking of nationalism, childhood, and the space of trauma that the last section of Fault Lines really delves into. Could you talk more about what’s happening there? A: …you know, in the sense that, in a sense you need to unpack it. J: Gandhi figures prominently in your work, and in this particular section, it’s interesting how Gandhi and this traumatic childhood converges. J: It’s silencing, but powerful writing. Difficult to read. A: In The Shock of Arrival I have a whole section on Gandhi cutting the hair of the girls in Phoenix Farm. Do you know the story? It’s in South Africa, the boys and girls were playing together in the water and then some of the boys started teasing some of the girls, and Gandhi felt that the girls—there was one particular girl who was being should bear a mark on her body so that this would be a sign to the boys not to torment her again. So he took her aside and over the protests of the women of Phoenix Farm he cut her hair off, which is barbarous, and he says, this hand which is writing this took up a pair of scissors and cut off her hair. And in what I write I try to imagine what it might have been like for this child. And so I think that there is something in the project of nationalism, in the ethical project of nationalism, as it is conceived, that can be extraordinarily damaging to individual persons. I was brought up in almost this religion of Gandhism, of nationalism, as an ethical imperative, and its austerities, and its this and its that. And no doubt it was an enormously powerful force in one’s childhood and in one’s growing up, with the whole world of decolonization after the taking apart of colonialism. But nevertheless, there are aspects to it which are very disturbing, and I think one needs to speak about. And for me the way to speak about them is very personally, because that’s the kind of writing I do. I’m not a historian or a critic or even a cultural critic; I mean, I’m a poet in this. So that for me the way to understand history if you wish, or even to get at history, however one might catch it by the tail, is really to go back into the great simplicities of ones early life, when things were as they were given. And then try to think about how one might have questioned them or revolted against them. And also what damage was done. Because it is also a narrative of damage, I think. J: That’s extremely interesting. This edition of Fault Lines, the last section, is very melancholic. It’s poignant and incredibly disturbing. A: It is quite dark. J: There’s a pathos, an unflinching look at deep melancholia that haunts the text. Your turn to writing childhood in the specific way you do is interesting. The question the new edition of Faultlines raises is, what is the politics of writing childhood? Why return now? A: Because it’s there for me to deal with. Because I have to. That’s as simple as the answer gets. It was just something I had to do. Now what is the politics of that I don’t know. You’ll have to… And so the question about the politics of it is something you would ask a reader, I think. At least not… because as a writer I don’t know. I did it because I had to do it. Is there a politics in that? Surely, but I don’t know what. I mean that is for someone else to unpack. One thing you have not mentioned is that this was written in the aftermath of 911, and it’s a whole chapter entitled Lyric in a Time of Violence, a poem, and people saying that, well, you wrote this traumatic piece on childhood in the aftermath of a larger event which was shared in space. So if you want to go at it that way, that’s one way to get it. What did you mean? If someone asked you what would you say? J: Well, when I say political I mean there’s a kind of detailed investigation of the uneasy space of childhood that is easily pushed under the rug. J: Childhood is incredibly painful, formative and critical to the formation of the nation. Yet children in the end are the forgotten story. A: Family and nation. It’s the patrie, the fatherland, right? J: Well said. I’m thinking of other writings on childhood, and this move to ask questions about childhood. At a particular moment in Walter Benjamin’s work, his writings probe the vagaries of childhood. He returns to the place of childhood. A: He has the Berlin Chronicle. But I don’t know where it is in his writing life. J: I read his turn to the past as a deliberate glance backwards, like the angel of history falling through time to calibrate the present. I do believe your turn to the past is not unlike Benjamin’s, a marking of the emotive distance you have traveled through spatial disjuncture. Could you address how the themes of childhood and shame meld in your work? A: Shame is very important. I was always brought up in this traditional way. Where you’re supposed to be ashamed of many things including your our own body. And shame was considered very powerful. It was a fierce pedagogical tool. It seems like a very weird way to say it, but you’re supposed to be ashamed and then learn how to behave. Its all at the level of your body in the world and how others see you. Particularly for girls, you know, that you were supposed to be ashamed of certain things because that was the way you grew up in the core of society. And of course for me as I grew up, I struggled with what it meant to write, to write the truth of the body, even what it might mean to write from the body, as someone who had learnt shame I think this idea of shame located in the body, and being ashamed of one’s body then became quite complex. When you went into multiracial situations or multiethnic situations, when you crossed certain borders where who you were was not taken for granted, or not good enough, at such times what you were taught to learn and absorb early in childhood took on a whole other valence. So I’m not talking just about intimate family spaces or gender or matters of desire. I’m also talking about border crossings, territories and proscriptions. And I think that this is where Gandhi is also important, because he went to South Africa and instead of being ashamed of being an Indian he told Indians to burn their passes. In other words he refuted very powerfully from his own version of a tradition, this imposition of shame on the body. But then he went back to India and he realized that Untouchability was a terrible sin. Still as often happens in radical social thinkers, even as they challenge something that is damaging to society at large, they retain within themselves blind spots. It’s always like that; look at Gandhi, look at Marx. They are part of history in that. This question of shame is also something very deeply personal and it’s almost something that you can’t wash yourself free of, and that was fascinating to me and something very terrible. And I had to try and think about that in a sense so that it becomes actually quite important in what I’m writing now. 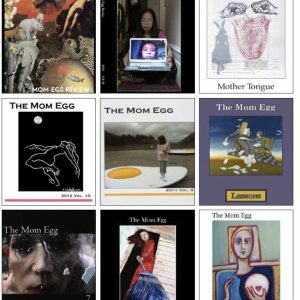 J: Your books Shock of Arrival, Illiterate Heart, Fault Lines, Quickly Changing River, and Poetics of Dislocation, all grapple with “multiple migrations,” and the task of working childhood through perpetual displacement. Could you talk more about this palimpsest of place in childhood that weaves through your work? A: Well, right from earliest childhood I knew that there was another place. I was born in Allahabad I wasn’t from there. I went back to Kerala because I come from there, but I didn’t live there for extended periods. So place was very powerful, filled with other people, other children, other families, the sun, the moon, the grass, the clouds, you know, the air. I traveled a lot as a child, even within the boundaries of India, and at the age of five went off to North Africa. But I knew that there were many places. What was constant was my parents and the familial structure. But places kept changing, houses kept changing. And so I think that the thing I’m writing now is almost like a kind of floating childhood. That is why the ocean becomes very important for me because that is where you have a floating house – on the water. It’s the boat. And I think that it’s also very provisional. There’s something that you’re forced to reckon with, because even as the force of childhood affections are such that you want to hold on forever, and you are holding on forever or what you think is ever, there is something in the nature of the sort of mobility that one had that forces one apart. Whereas words like globalization meant nothing at the time this transnational ability that we had was enforced on me as a child. I didn’t choose it—I just went with my early life with my parents. That inevitably structured my work. And I would even like to argue that it has an effect on what one might call the ontology of ones work – in the nature of poetry, something which implicates Being very powerfully, and even allows for it, opens it, opens it up as it were. I think of Heidegger’s essays on poetry and thought, collected in Poetry Language Thought. Place for me is manifold. It can be luminous. It can also be something that is shattering, and shattered in that sense. J: As a closing thought, could you elaborate on the idea of the space of dwelling? Your writings investigate the cartographic space of dwelling through the forgotten lives of childhood. Diaspora and multiple migrations become off shoots of this nexus of childhood and dwelling in your texts. A: Well I think that this idea of dwelling, and Heidegger talks about it precisely, in his writings you see the path and you see the stone, and you dwell… and for him to dwell in that fashion is to dwell poetically. Because this is what poesis is: it is dwelling on earth, keeping a residence on earth. You see, that for me is the great task of poetry; which is to allow one to dwell. And it is particularly difficult in some ways, or seems to be difficult in some ways, if one has had a childhood where dwelling cannot be taken for granted. I don’t just mean dwelling in the deep sense, I mean just ordinary habitations. And so what I’m trying to do is to think of diasporas or … diasporas through childhood. And it seems to me that a whole other set of markers are cast into view. Not with kinds of things that we talk about in adult knowledges, in the adult production of knowledge if you wish, but as a child deals with it sensorially and with an intensity that perhaps adults have learnt to be fearful of. May Joseph is a Tanzanian born writer, and founder of Harmattan Theater in New York City. 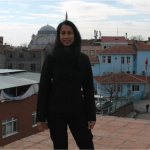 She is the author of Nomadic Identities and is currently completing a book on urban life called Metro Lives. Her play “Henry Hudson’s Forgotten Maps” was performed at Governor’s Island for the FIGMENT festival, Summer 2009. 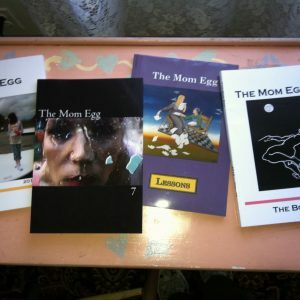 Joseph’s poetry has appeared in The Mom Egg and Bowery Women: Poems.